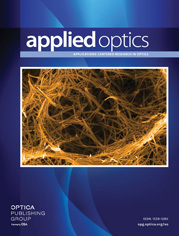 The authors are with University of Hamburg, University Eye Clinic, Medical Optics Laboratory, D-2000 Hamburg 20, Germany. Corresponding author: Reprint request should be sent to Henning Stiller. The spectral radiance and irradiance of several common ophthalmic instruments were measured. The respective spectral retinal irradiance a patient might receive was calculated. To evaluate the potential light hazard to the patient’s retina, we calculated the temperature rise resulting from light absorption at the fundus, compared retinal irradiance with threshold values for photochemical retinal damage, and correlated them with safety guidelines. A thermal hazard to the patient’s retina can result from operation microscopes if light output is maximal and exposure prolonged. Comparison of light exposures from different ophthalmic instruments with thresholds for photochemical-induced lesions showed that one has to be more concerned about the actinic effect of light exposure. At maximum lamp voltage, the light exposure from operation microscopes reaches thresholds for photochemical damage even after a few minutes. Other ophthalmic instruments present no particular hazard if they are used at common exposure durations. Application of laser safety guidelines confirm these results. In some cases, light from operation microscopes exceeds the safety margin in <1 min. Periods of time tP for which the retinal exposure is in the order of magnitude of thresholds for photochemical induced retinal lesion. Exposure times tR and tB which are maximal permissible according to the ACGIH safety guidelines to avoid thermal and photochemical hazard respectively.